Reputed to be largest event in East Africa of its kind, the show dedicated to the building and construction industry will be held from 21st to 23rd March,2019 in Addis Ababa. Buildexpo has grown in several aspects in 2018 Africa’s most promising economy is opening up to international investors. After a very successful show in Kenya, Buildexpo Africa is on its way to make a similar impact in the Ethiopian construction industry. The event in Nairobi exceeded it's expectations both in terms of exhibitors and visitors. The Hon. Minister Mr. Adan Mohamed, EGH, Ministry of Industry, Trade and Co-operatives, Government of Kenya, officially inaugurated and visited the participants thereby setting the pace for the event. The event also featured awards in innovation that were presented to the most innovative products at the expo. This was judged by the organizers and supporting organizations such as the NCA, Town and County Planners Association of Kenya and the Ministry of Transport, Infrastructure, Housing and Urban Development. 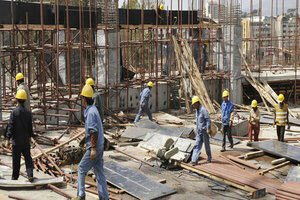 The Ethiopian government has announced aggressive promotion of infrastructural development in the country. Tanzania, Kenya, Ethiopia and Rwanda are among the African countries that will directly benefit from the Belt and Road Initiative” (also referred to OBOR – One Belt, One Road economic corridor project. The potential of a more open Ethiopian economy is bound to appeal to investors drawn by the market size given Ethiopia’s 100 million population and work it’s already done in building out some much-needed infrastructure, like transport. Increased investment could also help the government solve a crucial jobs problem given high unemployment rates among young people. Even before international investment Ethiopia has already been one of the world’s fastest growing economies since 2000. What would it mean to you if your company was able to showcase your product on a platform that allows you to reach a wide audience and make a lasting impact in the East African market? Companies from over 22 different countries are scheduled to participate in the Ethiopian edition including major players from the East African region. Countries dominant this year are Germany, China, India and Italy with several leading international brands looking to build a solid foundation in the East African market. The visitor registrations are much higher including top industry professionals such as builders, developers, architects, consultants, engineers, manufacturers, importers& distributors.In terms of exhibitors, the event will showcase a wider range of products and equipment also this year since there has been a focus on the mining, lighting, wood and water industry. Buildexpo Africa is the ideal forum for international companies to showcase their products and services to the huge market. Visitors from across East Africa, and surrounding regions are invited directly in collaboration with regional trade bodies in Kenya, Tanzania, Ethiopia, Uganda, Somalia, Mozambique and Congo. Domestic and foreign investors will soon be able to get a slice of Ethiopia’s booming economy thru the medium.